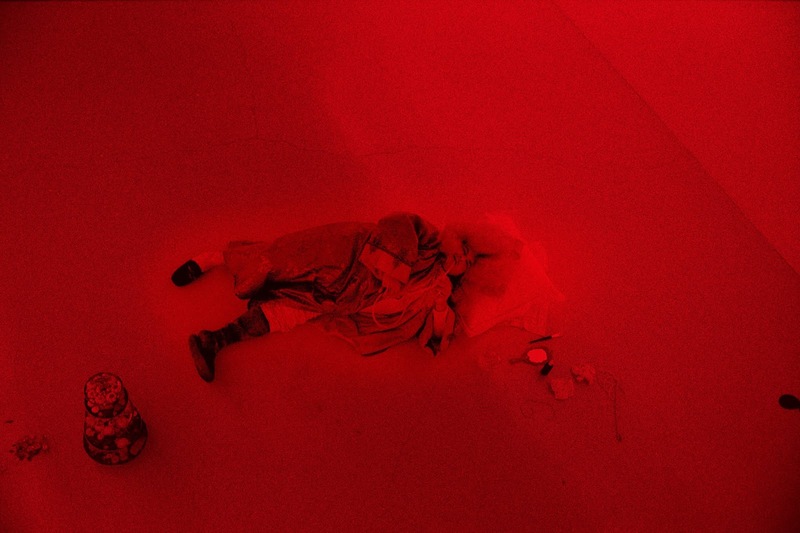 Albert Serra's hour long record of a performance piece done in Lisbon he directed. 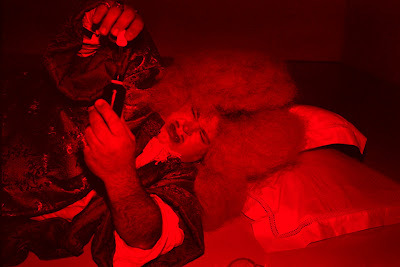 It is simply actor Lluís Serrat dressed as Louis XIV wandering an around or lying on the floor of a room with red lighting moaning. He moans hoy or oy or roi or some variation for an hour or so. For most of the film we are alone with the king and then right before he dies the audience wanders in. I suspect most people are going to find it tedious or silly. I found it silly. I suspect that is part of the point- but at the same time I want to shake Serra and ask him if he is really serious about this. He probably is. Which is fine, I mean you want to make pretentious twaddle go for it but asking people to pay for this? I can't recommend any one paying for this sort of thing, but if you are curious here are a list of the big things that happen and the time they occur. 33 minute in we see he has one black foot/leg- or is it a sock?